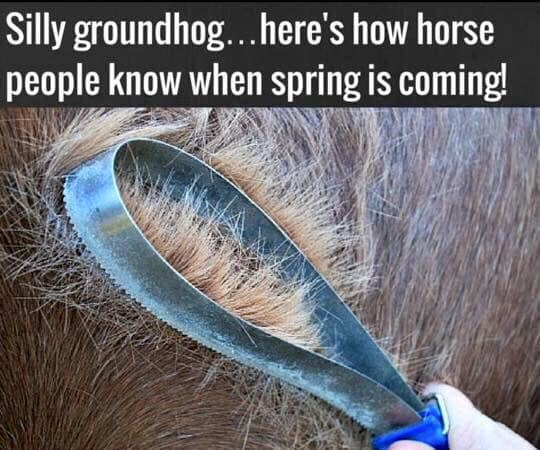 Well, the horses and the Groundhog agree this year! Punxsutawney Phil did not see his shadow yesterday morning, predicting an early spring. Here’s hoping he’s right and the ponies shed out quickly!